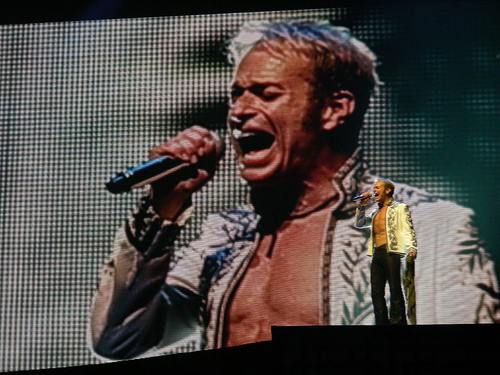 David Lee Roth, a little older with hair a little shorter, but still an operations expert. After all this time you thought that Van Halen was such a pampered and entitled rock band to demand only brown M&Ms as part of their performance contract when those same M&Ms actually served a much larger purpose. In the March 2010 edition of Fast Company, Dan Heath and Chip Heath in the article, “Business Advice From Van Halen” further explain that the M&Ms served as a guide for the band and/or manager to determine (in very short time) if the venue read the full contract and correctly followed instructions for the show. “In its 1980s heyday, the band (Van Halen) became notorious for a clause in its touring contract that demanded a bowl of M&Ms backstage, but with all the brown ones removed. The story is true — confirmed by former lead singer David Lee Roth himself — and it became the perfect, appalling symbol of rock-star-diva behavior.